On entering Villa 16, a Batavian style old world villa, guests are greeted by a spiritual stone elephant statue of Ganesh, the Hindu symbol of wisdom and good luck. It stands in front of a mature Pandan tree, which provides a majestic canopy of green over the sun-kissed pool. This 3-bedroom villa is the perfect family holiday escape, boasting a huge swimming pool and gardens, large deck with dining area, 3 large double bedrooms all with en-suite bathrooms, a generous sized indoor/outdoor living area where children can play and watch movies while adults can relax and unwind, either with the tropical cooling breezes or enclosed in the luxury of air-conditioning. 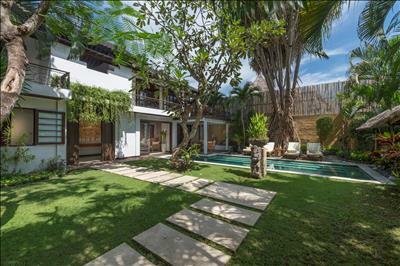 Each upstairs bedroom looks out onto a wooden balcony fitted with intricate railings, offering views over the thatched roofs and tree-filled skyline of Seminyak. A fully-equipped kitchen looks out onto the garden. This is a blissful paradise for a happy, adventurous family who enjoys tropical landscapes and cultural experiences. 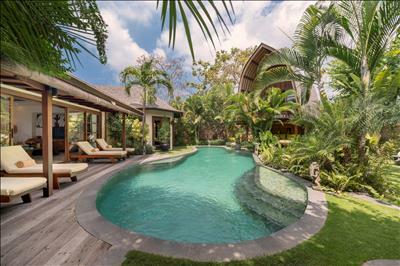 This villa is especially well-suited to longer stays with all the comforts and facilities of a home away-from-home. Very nice villa and service. Very nice villa and service. Breakfast was lovely every morning. Thank you very much, the Lovegroves. 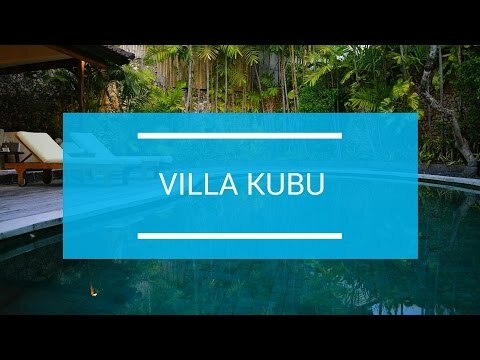 My wife & 3 children had a fantastic stay at villa Kubu. My wife & 3 children had a fantastic stay at villa Kubu. The pool was amazing & the staff were so friendly, we would love to stay here again.